George, son of Philip & Ann Gould (Late Fulcher) was baptized 7th September 1823. Philip Gould was described as a blacksmith at the Hart. Philip Gould was buried 17th September 1825, publican of the White Hart, aged 53. Mary Ann, daughter of George & Susan Buckel (Late Whitaker) was baptized 27th September 1835. 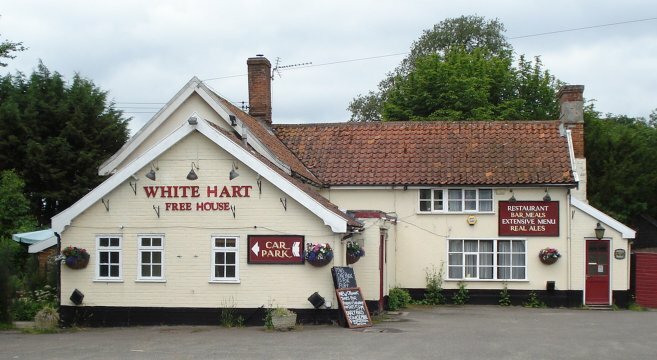 Address as the White Hart. Recorded in September 1789 Diss Hundred Register. Licensee charged during the year February 1907 to 1908 under the Sale to Children Act - case dismissed.